Dassault Mirage is a series of well-exported French fighter jets. They're not really new, but they were really popular. 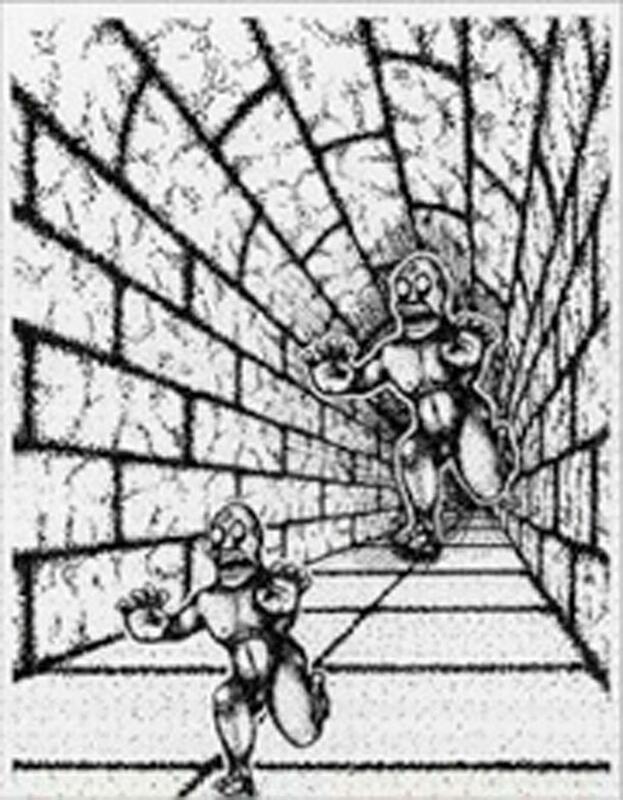 And, like many things in this world, the series was named after one of the most famous optical illusions: the mirage! If you're an old-timey cartoon character in a desert, a mirage would appear as an oasis and you'd look like real idiot while trying to swim in the water that just isn't there. Unfortunately, we can't use internet for luring you into such amazing/life threatening illusions. However, there are some benign ones that work online as well as they do on a sheet of paper. 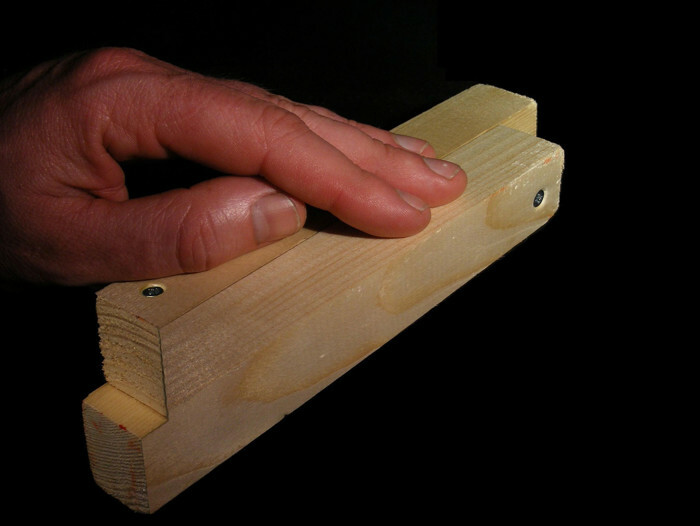 So gaze on and be amazed by what tricks simple flat surfaces can pull on you! Stare at the dot and move your head away from the screen and see the circles rotate. 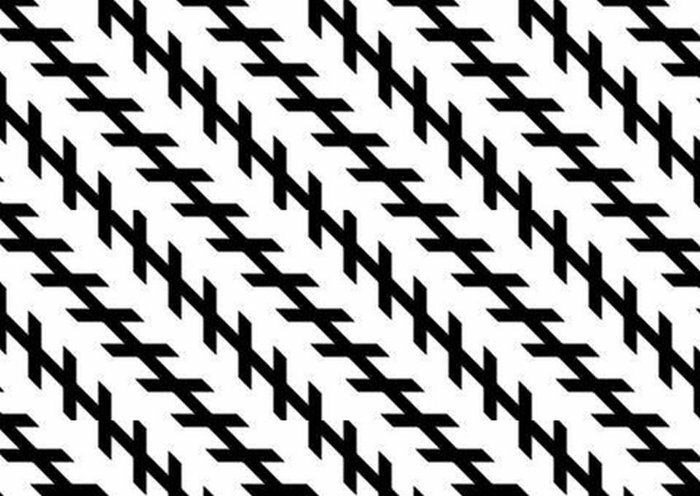 Move your head closer and see them rotate the other way! Ludimar Hermann discovered it in 1870. 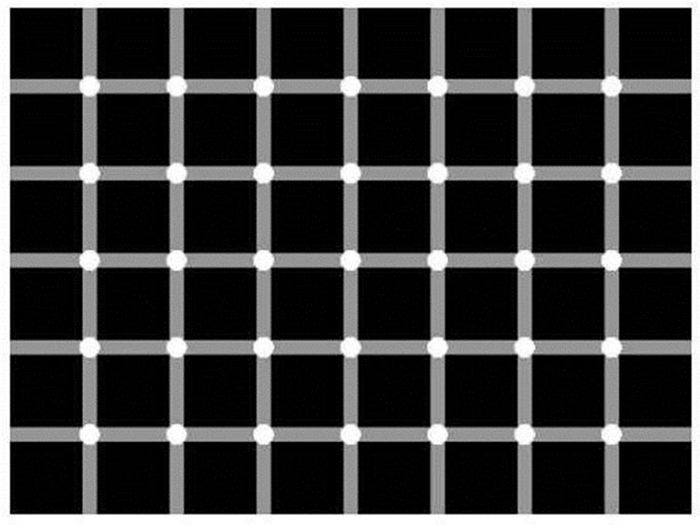 You'll see a gray blob at the intersections of of the white lines. 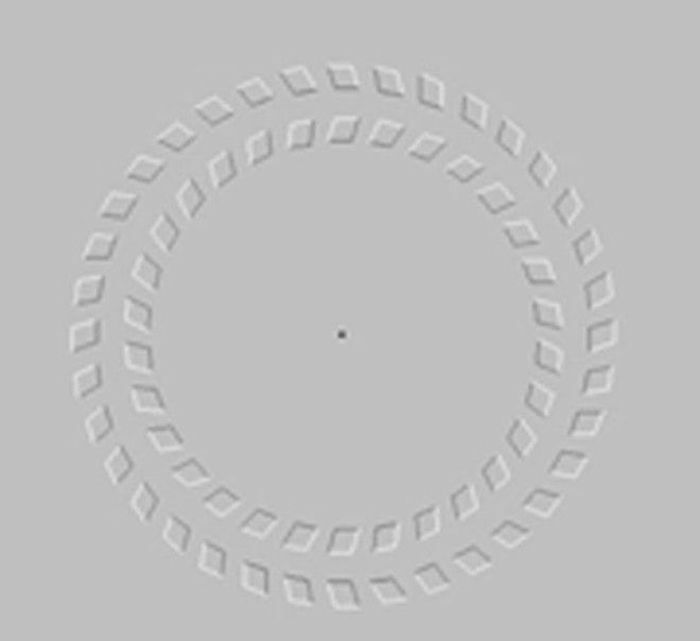 However, it disappears if you look directly at the intersection! Spooky! 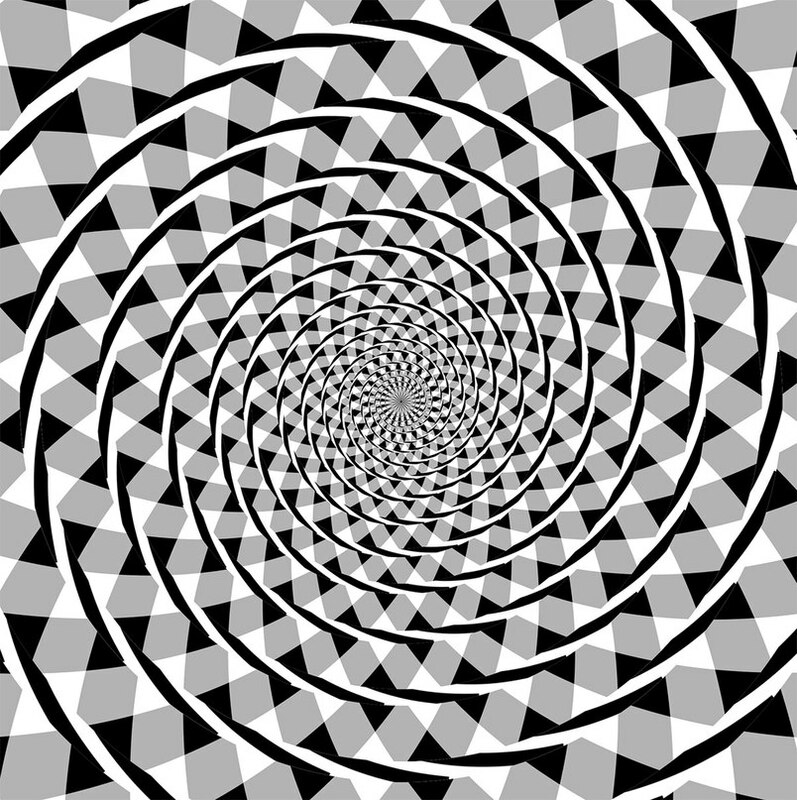 Troxler's effect states that if you stare at one point long enough, you'll stop seeing it. Try it out by staring at this image for half a minute. 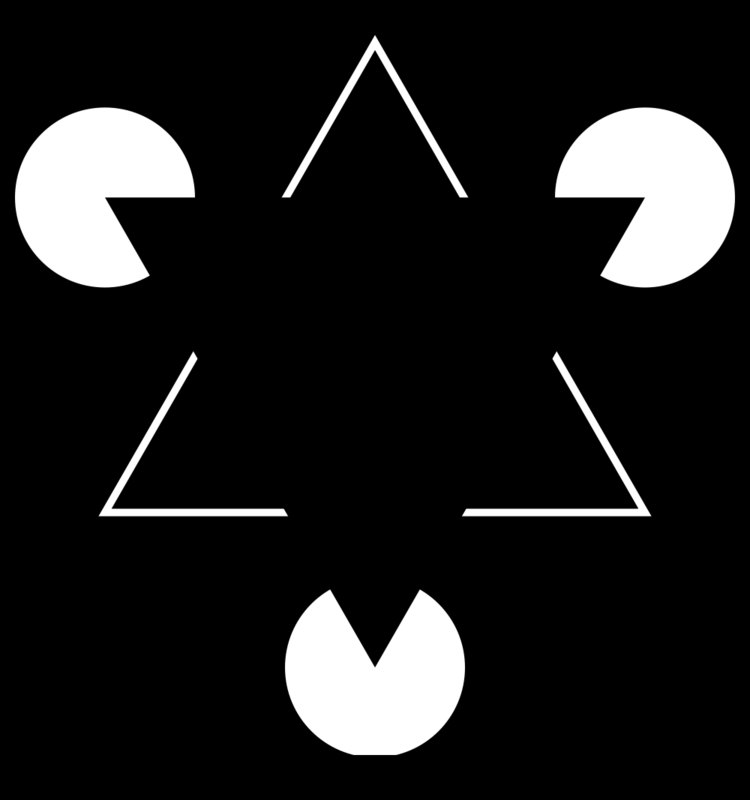 This Triangle was named after Gaetano Kanizsa, the first one to describe the effect of you seeing the outline of the triangle even if there's none. 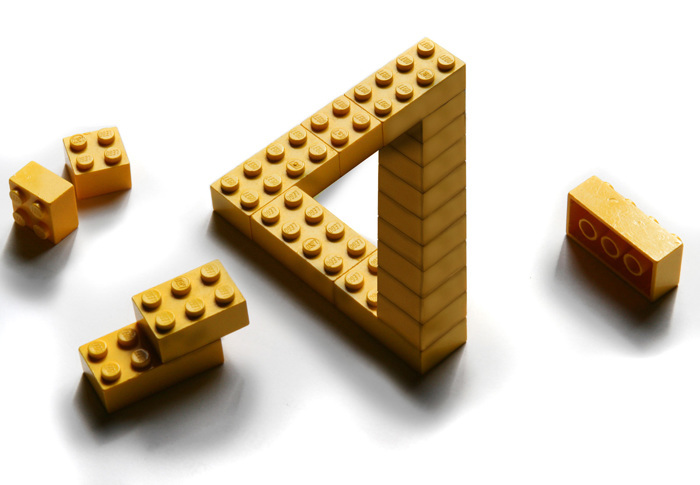 This famous impossible object has two prongs at the base that somehow morph into three at the end. The monsters are actually the same size! Because the shorter edge of “A” is directly next to the longer edge of “B”, you think that the figures are of different sizes – but they aren't! This spiral is just a bunch of concentric circles. 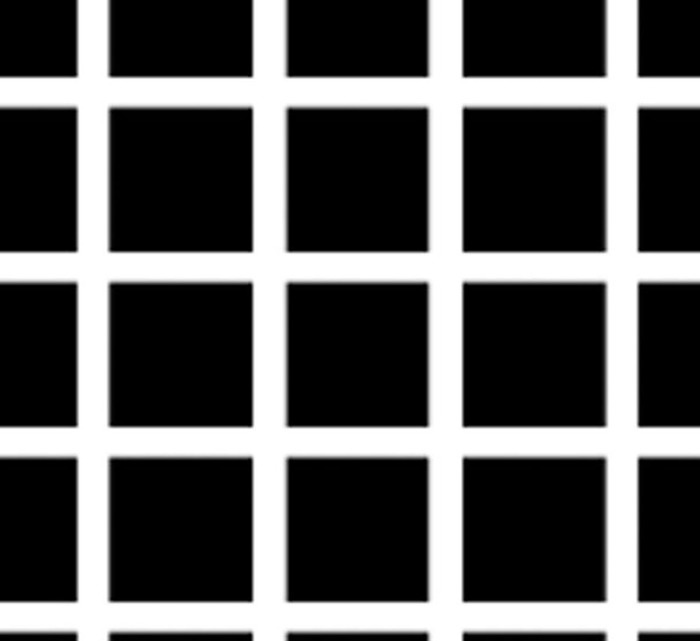 This version of the Hermann Grid can be half-defeated by cocking your head at about 45 degree angle. The blue and green sections are all the same color, actually! It's one of the most famous of impossible (and thus non-buildable by LEGO) objects. What would you see if you stared at the center of the image for 30 seconds and then looked away at something else? 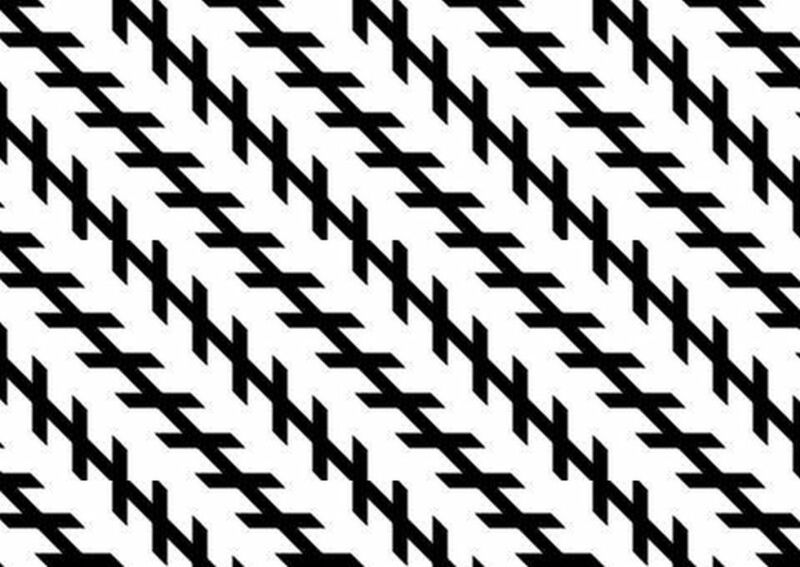 Those parallel lines only appear diagonal! 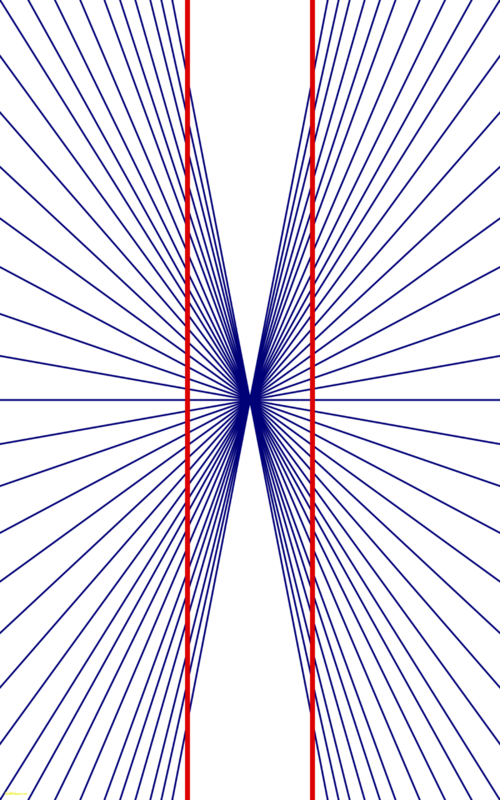 Both of those red lines are straight and parallel, you know. 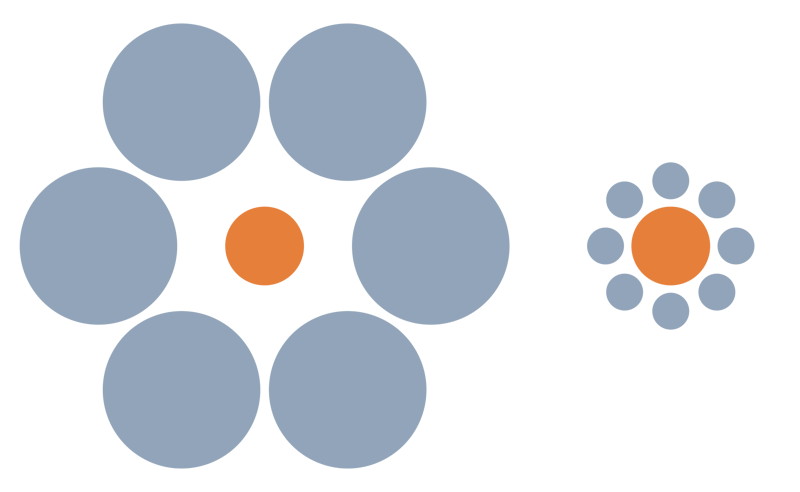 The orange circle on the left looks like its smaller than the one on the right, even though they're of the same size. Psychologists are still baffled. 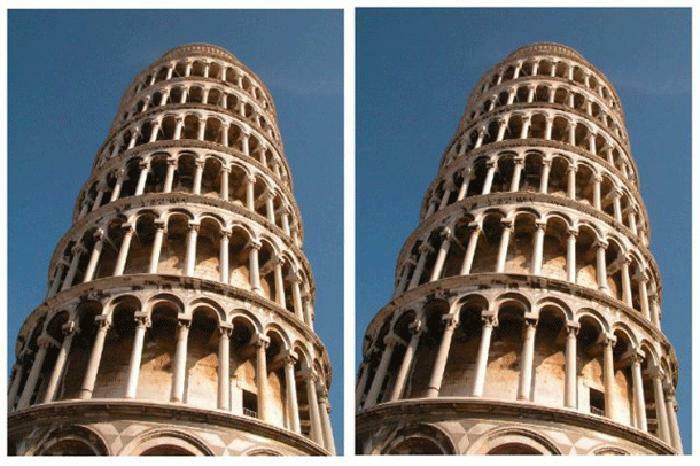 These images of the leaning tower of Pisa are both the same, even if the right one seems to be leaning a lot more. Are these blocks on top of each other or side by side? 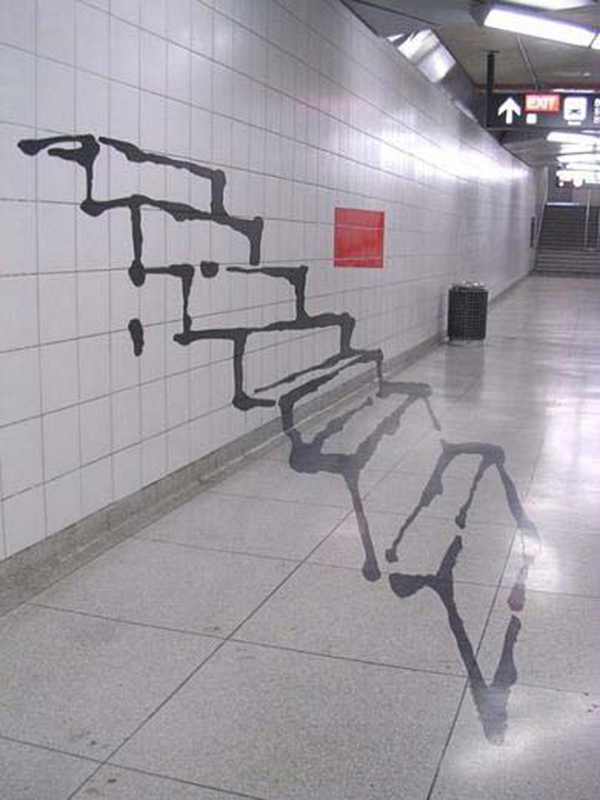 Artists like making art like this that's look like an illusion from a certain angle. Web designer Nobuyuki Kayahara to make people fight to the death over whether girl is spinning clockwise or counterclockwise. No, those pillars are not moving to the right. 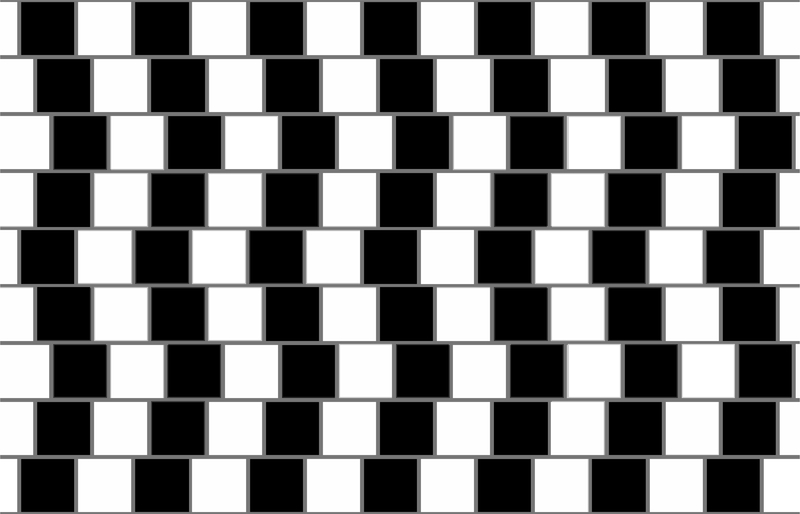 The squares in the periphery vision seem rotate – but only while your eyes are moving! 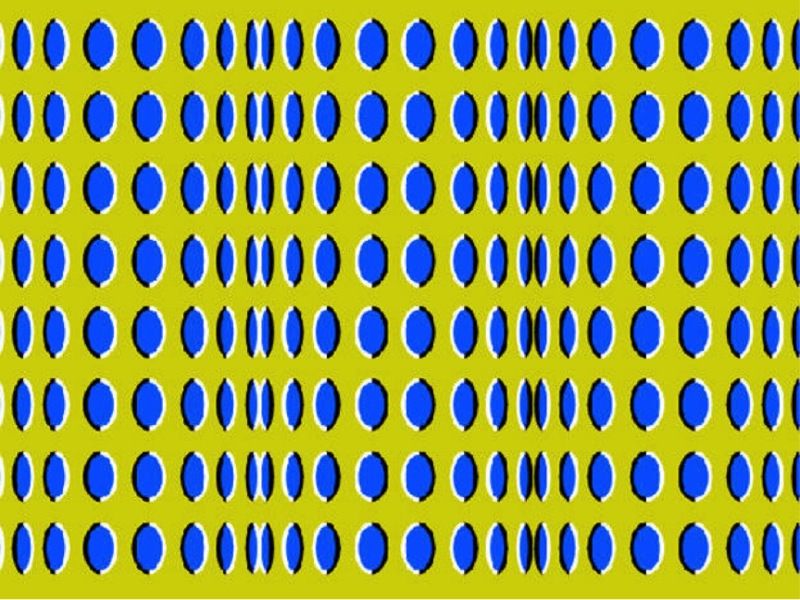 This image isn't moving, it just looks like it is! If you stare at it long enough, you might see a green disc going around a circle of magenta discs. This one was named as such because it was discovered on a cafe wall at the bottom of St. Michael’s Hill. 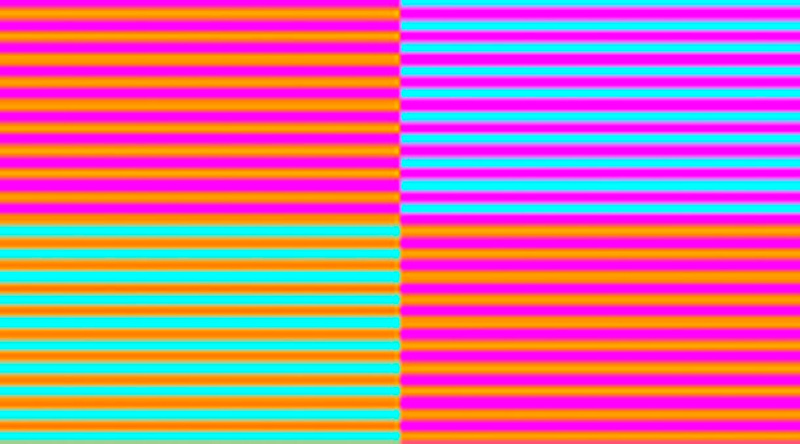 A and B squares are of the same color – check via photoshop if you don't believe us! 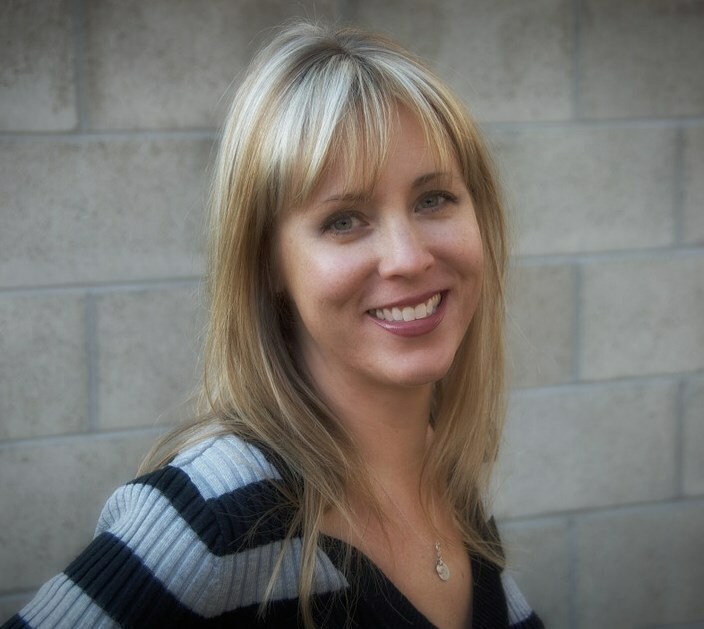 Their work might go unappreciated by their employers, but not by the people on the internet. Here are some amazing examples of organizing.